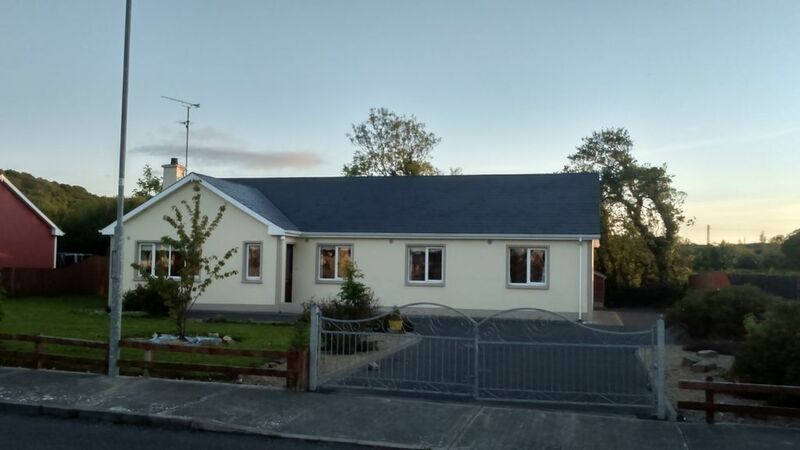 The large 4 bedroom bungalow is located in the small village of Kinlough just 4km from Bundoran and the "Wild Atlantic Way". It has four large bedrooms a large garden/private patio. There is a communal green area to the front of the property. There is a large living room separate kitchen/dinning area. The region has excellent sporting amenities with some of Ireland s best golf links courses, along with excellent fishing spots, horse riding, mountaineering, mountain biking, river and sea cruises, famous surfing beaches and much much more. Visitors are also sure to experience a warm welcome or "céad mile fáilte" from those you meet on your travels in the area along with a strong sense of the Irish heritage and culture in some of the least explored parts of the country. Ireland s North West is easily accessible from every corner of the world through the regional airports serving the region at Knock, Dublin or Shannon and you ll find there is a lot to see and plenty to do once you arrive. We look forward to welcoming you soon.